With the Florida state Senate just weeks away from finishing their current session, some lawmakers want to discuss stalled measures to allow a gun registry and bar future sales of some semi-automatics. Among the bills backed by Democrats are SB 1476, state Sen. Gary Farmer’s gun registration proposal, and SB 196, Sen. Linda Stewart’s ban on the sale or transfer of “assault weapons and large-capacity magazines.” The lawmakers argue movement on the languishing bills is timely following a mass shooting in the state last week at a high school in Parkland that left 17 dead. Farmer and Stewart, along with other prominent Dems, are holding a gun control rally Wednesday at the Old Capitol in Tallahassee in an effort to get the bills heard before the end of the session. 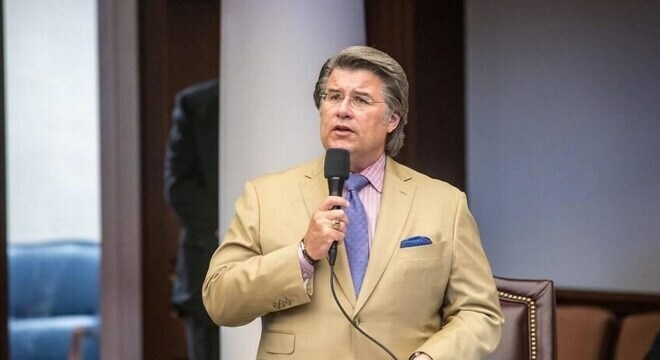 Both bills are in the Senate Judiciary Committee which is chaired by Sen. Greg Steube, a pro-Second Amendment Republican who has backed past efforts to bring both campus carry and open carry to the Sunshine State. Even if a move is made to shortcut Steube’s committee, Majority Leader Wilton Simpson has advised he is interested in working on increased security for schools, additional mental health resources, and active shooter training. Meanwhile, current Senate President Joe Negron and President-designate Bill Galvano have stressed they want to make sure that those suffering from mental illness do not have access to firearms. “(W)e must have the conversation about how this individual, with noted and apparent mental health issues, was able to obtain firearms such as this and discuss measures to prevent this from happening again,” said Galvano. The last day of the regular session is March 9.